Turvey by Earle Birney ~ 1949. This edition: McClelland and Stewart, New Canadian Library N34, 1963. Introduction by George Woodcock. Paperback. 286 pages. 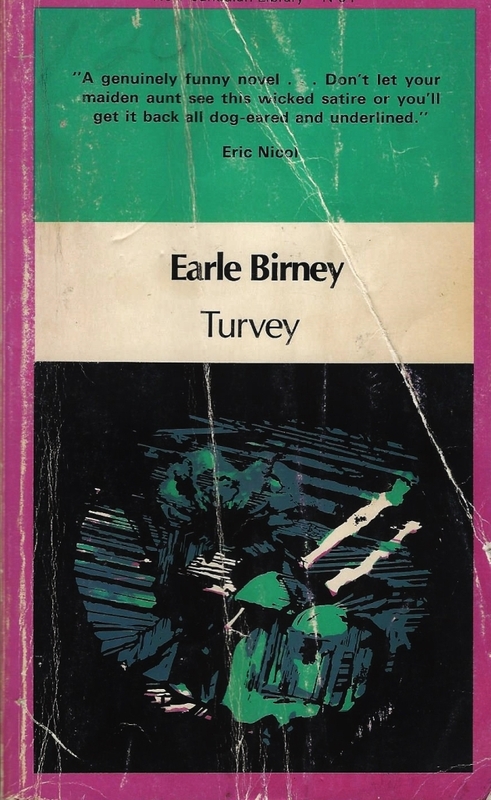 Earle Birney, Canadian master-poet of power, grace and poignant reflection, occasionally wrote off-genre. 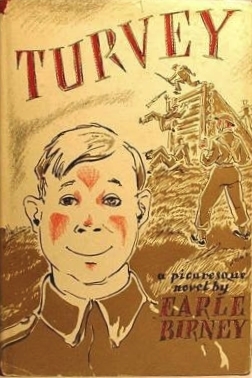 Perhaps most notably so in 1949, just a few years after Birney’s service in the Canadian Army during World War II, when he produced this bawdy and satirical novel – “a military picaresque”, as it is sometimes subtitled – combining a farcical account of a common soldier’s adventures during his quest to get to the front lines in Europe with a critique of the absurdities of military bureaucracy (Birney served as a personnel officer so had an insider’s knowledge) and a scathing if understated depiction of the horrors and human toll of war. We follow one Thomas Leadbeater Turvey, originally native to (fictional?) Skookum Falls, British Columbia, as he enlists in the Canadian Army and goes through an interminable saga of slow advancements and sudden setbacks on his mission to join his best friend Mac Macgillicuddy in the (fictional?) Kootenay Highlanders as they head to Europe to take on the Nazis. Private Turvey is of the species amiable innocent, and though he goes through an astounding series of mild-to-dire accidents and ailments, he always manages to crawl out from under with a sheepish grin. We are ever on his side, fingers tightly crossed, especially after he does eventually achieve Europe and a reunion with the ultimately ill-fated Mac. Turvey takes hit after hit and comes out each time a little bit wiser; on his post-VE Day return to Canada he finally develops a righteous sense of indignance (anger is too strong a term for this sweet-natured man) at the powers that control the fates of lowly privates and hies himself off in pursuit of his left-behind English sweetheart and a well-deserved happily ever after. 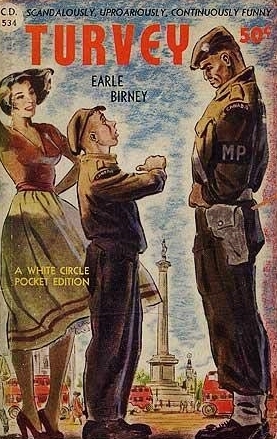 I thoroughly enjoyed this engaging and deeply funny novel; its serious moments hit hard in contrast to the lightheartedness; the combination works perfectly; Earle Birney’s touch is sure and precise. Turvey won the Stephen Leacock Medal for Humour in 1950. Reviews of the book are easy to find online, and a short but interesting post on the novel appears here, at the Canus Humorous blog.